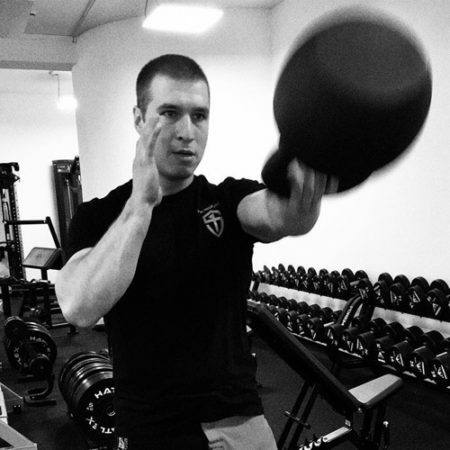 Sven fell in love with kettlebells in the fall of 2010, when a friend introduced him to these "cannonballs with a handle.” While not immediately sure what to do with it, he was certain: “this was what I was searching for so long.” Shortly after, he found Pavel Tsatsouline’s material and was hooked. After taking two workshops in the spring of 2011, he set a goal of becoming an instructor. On the way, he completed his FMS Level 1. When StrongFirst was founded in 2012, he knew that this was the place for him. In only a few short years, from August 2016 to September 2018, he completed his SFG, SFL, and SFG II. He has also attended Plan Strong to learn how to create effective strength plans for his students. Sven studied Healthcare Management and works as a strength and fitness coach in Stuttgart, Germany.